However, many are aware that more weight than usual has rested on Carol Danvers’ shoulders, the latest – and maybe the most important – addition to the Avengers gang. As the first sole* titular female lead in an MCU film – after twenty, that’s right, twenty-odd outings over the last ten years – and arguably the most powerful of all the Avengers, Captain Marvel has been the subject of more than her fair share of snarky op-eds and petty trash-posting. But in my opinion the less that’s said about that the better; as Captain Marvel says to the movie’s villain in the climactic third act: she has nothing to prove to him. It’s a line delivered with all the steely badassery of a woman who has just discovered the fullness of her supernova-like power and really couldn’t care less, and it’s clearly a line the creators included to act as a direct call out to those who have been unjustifiably sceptical about the film from the beginning. It’s the perfect response. Nothing else needed saying. What’s more deserving of our attention is the fact that being twenty movies in, and landing in between the mammoth finale-in-two-parts that is Avengers: Infinity War / Endgame, fans of the MCU knew more about what was going to be – indeed what needed to be – in the movie than any other in the MCU canon. As well as being a Captain Marvel / Carol Danvers origin story, it had to introduce the Kree / Skrull worlds, abilities, technology and backstories; it had be an origin story of sorts for Nick Fury and the Avengers Initiative, and explain why Fury didn’t use his pager to summon Captain Marvel to the Battle of New York. It also had to segue smoothly into Avengers: Endgame; heck, it even had to explain what on earth happened to Nick Fury’s blindfolded eye! 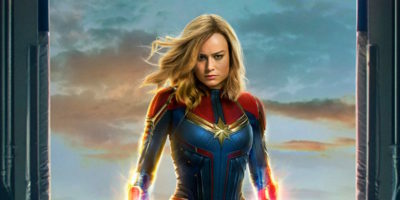 And so it’s to be expected that in many ways Captain Marvel is a film that doesn’t truly belong to itself, not quite having the creative freedom needed to forge its own path in the way that the Guardians of the Galaxy and Ant-Man movies were able to establish themselves as far-out, blindsider hits. It simply has too much to do. Nonetheless, there are moments where the film attempts to break free of these narrative restrictions, and it’s at these points where the story is strongest. Captain Marvel is full of surprises and performs best when the major plot points that were almost taken for granted in pre-release discussion and Internet forums, are fulfilled but also cleverly subverted, in the mode of Rian Johnson’s iconoclastic take on The Last Jedi. It means that at least one of the most emotionally rousing moments comes from a completely unexpected place. And without spoiling anything, the bold turn taken in the second act does much to upset the accepted fan theories of smug comic book fans (myself included), which makes things moving forward much more exciting. It’s good to see that producers are still aware of the fact that the MCU has always been great at borrowing themes and ideas from the comic books without directly mimicking whole storylines (see Civil War and Planet Hulk), keeping things fresh and fans interested over the last decade as a result, and now for at least a few more years to come. It’s safe to say Captain Marvel performs best when the direction of the film takes on the ‘nothing to prove’ attitude of the film’s hero. I expect that now we’ve got the origin story and hopefully the franchise-carrying baggage out of the way, Captain Marvel 2 and 3 will lead the pack and carry the MCU through to another ten years of genre-busting storytelling at its best. *Ant-Man and the Wasp got in there first as Marvel’s first film featuring a woman in the title. 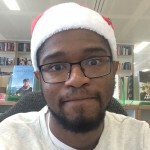 Cameron Myers is an Editorial Assistant at Hodder & Stoughton. Apart from an over-enthusiastic love for reading non-fiction, he is fanatic about comic book films and TV shows. He also gets overexcited at quizzes and party games, and can be found puzzling over anagrams in his spare time.